The successful youth academy at Evo-Stik Northern Premier League Spennymoor Town has launched its first ever training programme exclusively for girls. Developed from scratch over the last three years by the EVO-STIK NPL Premier Division club, coaches at the academy are hoping to create their first girls side within the next two months. The academy, which already has 20 teams playing in age groups from U7s to Under 18s, is set to continue its growth following the surge in the popularity of the women’s game and increasing numbers of calls from the community for them to act. A fundraising evening is to be held in March in memory of a former Northern League footballer who died recently. David “Kid” Curry recently passed away following a heart attack at the age of 58. He captained Spennymoor United FC in the 70s and 80s and also had a brief spell at Bishop Auckland. He represented the Northern League Select XI on numerous occasions and toured with Middlesex Wanderers. He made himself a hero during his two spells at Darlington, so Nuneaton Town boss Tommy Wright hopes there were no hard feeling when his side secured a dramatic win over the Quakers on Saturday. Wright’s side inflicted a first defeat on the Quakers at their new Blackwell Meadows home, as Jordan Nicholson’s injury time winner sealed Town’s seventh win in a row. A Joe Ironside penalty had given them the lead just before the hour mark, only for David Syers to head the Quakers level as the game went into injury time. Simon Weaver’s men narrowly missed out on a place in the final of The National League North play-off’s in 2015-16, and as such, the decision has been made that going full-time will help the club achieve its ambitions going forward. Boss Weaver believes the decision gives his side the best opportunity of progressing, regardless of what division we are in next season. FA Vase holders Morpeth Town will kick off their defence of the trophy with a trip to Toolstation NCEL club Hallam on Saturday 12th November. The draw for the Second Round of the competition was revealed by the Football Association on Monday lunchtime with several intriguing ties being thrown up. Former Sunderland, Wimbledon and Bradford City defender Darren Holloway has joined Alun Armstrong’s backroom staff – as he will work alongside Neal Hooks as joint assistant managers at Blyth Spartans. 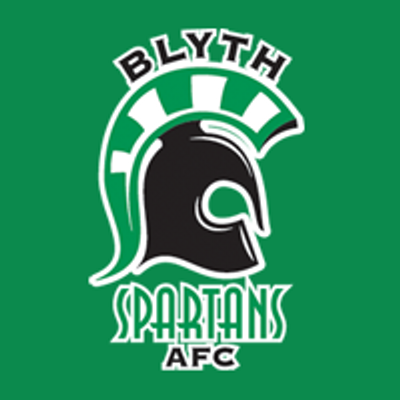 The former defender played alongside the Blyth boss at Darlington towards the end of both of their on-field careers during the 2006/07 season, before the pair were reunited in a coaching capacity at Middlesbrough. Holloway was part of the Sunderland side that finished in seventh place in 2000, before leaving for fellow Premier league side Wimbledon that summer. With a wealth of playing experience to draw on – as well as his coaching skills – Armstrong hopes that the 39-year-old can help with the defensive aspect of Spartans’ training. Armstrong said: “Not only did we play together at Darlington for a couple of seasons, he doesn’t live too far from me and he started the season at Middlesbrough as well. I got chatting to him about it once the job came about and asked if he would be interested. Darlington 1883 have announced the signing of midfielder David Syers. Syers, who is 28, has left Guiseley AFC from the National League in order to join the Quakers on a contract basis.